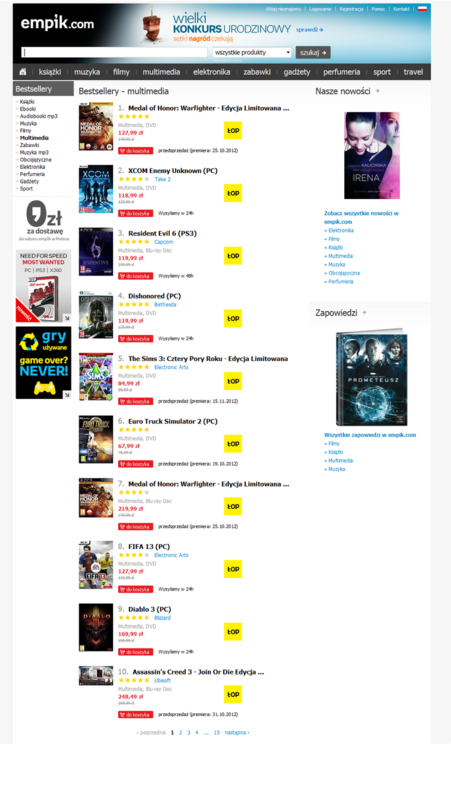 Look like Euro Truck Simulator 2 is in really fine company in the sales charts already! We were asked by our friends at Czech website SvetSim to help them promote their ETS2 competition - note that this link is any good for Czech readers only. 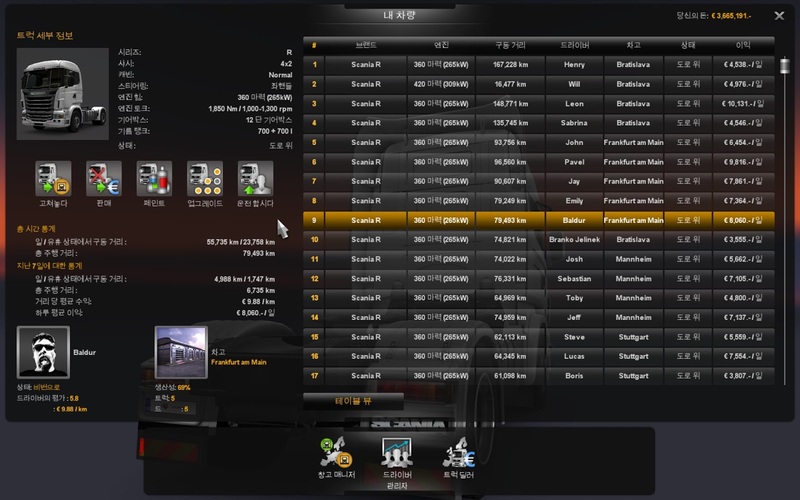 If you still cannot satisfy your fix for more YouTube clips of footage from ETS2, we recommend again our ETS2 YouTube playlist with beta tester recordings. There are some very positive reviews of the game coming in from Brazil, if you know the language, you can read them here and here. 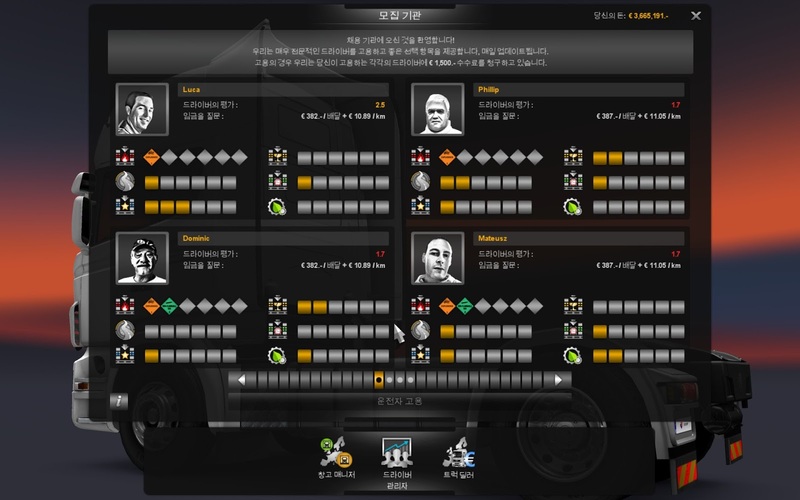 Last but definitely not least - our work on support for more languages in the game engine is going very well now, we have preliminary results with Korean and they look (as far as we can tell) quite believable. So we'll be looking for translators for more non-European languages - Vietnamese, Chinese, Japanese... Unfortunately right-to-left written languages are still beyond our reach, but we'll revisit this code again in the future. I think there should be a donate page on there website. +1, I'd donate a little! I wouldn't want to donate £25 though. ETS 3, no, i want ETS 2 to grow a lot, adding 2013 trucks, map is already big but they want to extend even more and that is only a good thing, a lot more trucks sounds, horns and a lot more. Even if they ask 10$ for a DLC is not a problem, i really want a truck DLC and new trailers as well like i said even if they ask 10$ for it. Totally agree with you S7efan. One thing I'm disappointed in, and always have been is the horn sounds from ETS, STDS etc. Put in the proper horn, for all it would be to get a truck and record a few blasts of it here and there. Good work SCS team, but where is ORIGIN RELEASE DATE ? 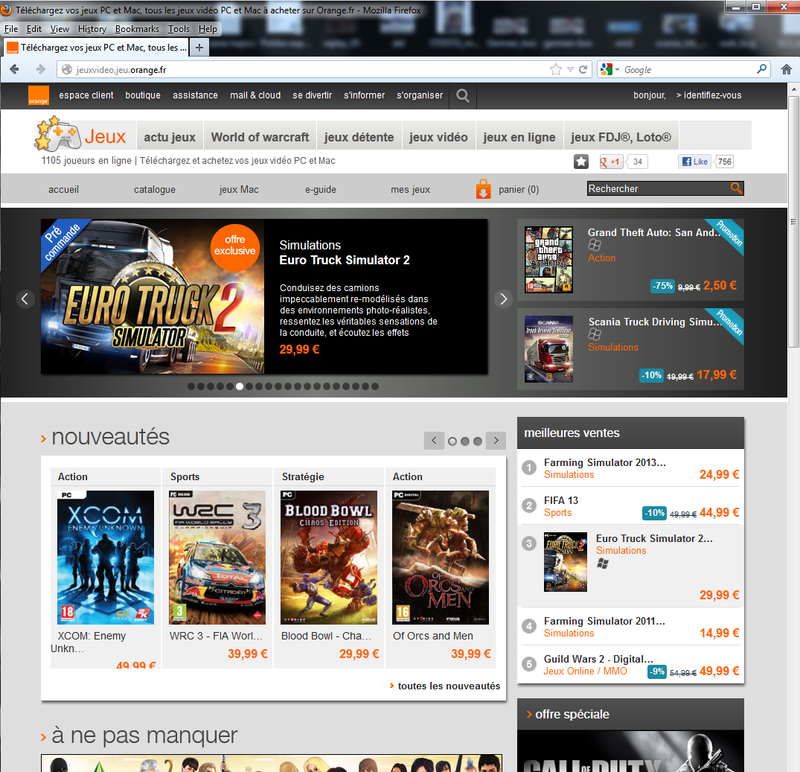 I buy the ETS2 from origin...please more information ? Sh*t, i just wanted to preorder on origin! Any other digital source i can but to play on 19th? Maybe it is a mistake, maybe there should be 19 not 29. ;) Don`t panic. You can buy it digitally from eurotrucksimulator2.com on the 19th. If they continue at this level, the ETS 3 may be the best simulator of the last decades, not counting the endless possibilities and the possibility of DLC's expansion of territory, can you imagine an ETS International? I would love if it was possible to not only do 2 hour long deliveries but 4 and 6 hour long deliveries even if it meant a few stops to sleep and refuel. Anyway SCS is the best at doing these truck games. I will support them as long as they do realistic truck sims. In ETS2 there are already deliveries that requires about 30 game hours of driving, or 2 sleeps between. It's about 1500-1700 km of drive, and almost hour and a half in realtime. Trust me, this is long enough. You don't want more. Yeah! I'm from Brazil and can't wait to play ETS 2!! Here in Brazil we love trucks, we even have Formula Truck!! Congratulations for the excellent work SCS!!!! Kolego nie stawiaj warunków. Albo kupujesz taki produkt jaki jest obecnie, albo nie. Proste. Where are the Double Trailer,CB Radio;Pedestrians,Seasons etc. Where the Devs.of 18 wheels of Steel haulin? 3. They ARE in the game. 4. Not in the game. 5. Who cares? This team of workers are better. If you're not a fan, why are you here? Where are the Double Trailer,CB Radio;Pedestrians,Seasons etc. Where the Devs.of 18 wheels of Steel haulin? Double Trailers are illegal in the UK, because of the length. CB Radio, Seasons: These could be brought in in a later patch; it has been said many times, that they are releasing it yet they know that more things need to be done, and they are working on them now. For all these things to have been included in this release, we would have been waiting for probably another 3 or 4 years. Rig n Roll anybody? They're in nearly every video, they're in pictures too. 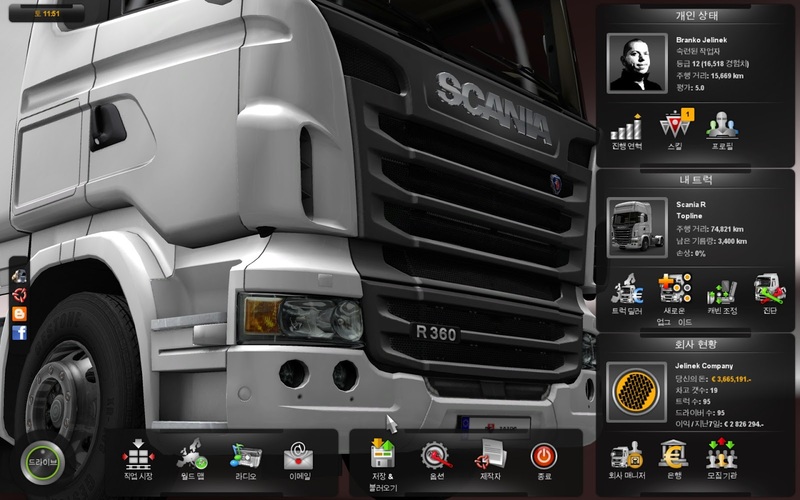 And Anonymous, so what if I'm a "fanboy", I think SCS deserve more respect. "If you are behind them and flashing light, they open up passing lanes for doubles" Does this confirm doubles as being in the? Not that I really care but I know a lot of other people on this blog do! No, it's another thing. Imagine you go on an highway at a upper speed than de BMW ahead of you in the middle lane, ok? Just want to say, so looking forward to this, well done, sounds and looks fantastic, I know I/we wont be disappointed. I ordered my copy from Amazon months ago, but I've decided that I too will also buy a digital download copy, just so that more of the money will go to SCS. Good luck, you deserve to make a lot of profit for the work you have put in. Fantastic work SCS! Will be getting this game as soon as possible! When mummy and daddy buys it for you ? 2. Actually I'm getting it from Excalibur publishing early. Oh, and by the way, at least I have parents, you probably just appeared in a box outside a charity shop. So it was you who did that, stop invading my privacy! I'll get it back you stupid idiot! I'll get it back, and it's not being a "legend", it's being a saddo troll. What a loser GET A LIFE. What do you have against me? I disagree with what you want in ETS 2 so about 3 different people shut down my Facebook account and then bother me on the blog. But who gives a s**t? I'm creating a new account now. You've sort of helped me, my old embarrassing Facebook posts on my timeline are gone. All I have to do is create a new email. Also, good look getting someone who thinks they're called anonymous for "presindent". Who's immature now? Oh of course, you've proved yourself a lot more mature than me, a 12 year old. My reason for argument: You shut down my Facebook account. Your reason for argument: You just feel like arguing. I'll ask you one last time, why don't you like me? Until you find a valid reason for arguing with me, I will not comment towards you again. And BTW, I'm nearly old enough to claim back my account by providing ID to Facebook, so you've not done much harm. Yeah, I know, but what does that have to do with half of you idiots being against me? Mark Zuckerbird said he doesn't care if you have to enter a fake age, he encourages children of all ages to join Facebook. He would change the rules if it was legal, but Facebook is forced to use COPPA. Yeah, I agree, that's what I'm doing. By the way, I could help you translate captions into Japanese. Who is the right person to contact in this case? How could I help you translate the game into Greek? Greek is one of the ETS2's missed/unfinished languages, friend. Contact SCS (info at scssoft.com) and try to translate game into Greek, as soon as you could! Hm, whole Greek truck scene is lazy, I'd say. Don't miss this! just a thought, i can help with persian language if you need help. have some benefits from ETS 2 online or go as GTS / ETS / ATS offline? Please respond if you want to buy this game and you wait two years! Shut your mouth! Only one position under FIFA13 on German Amazon? That's really impressive. But you know, something is even more interesting, that tractor simulator as no.1 and football manager as no.3 in that chart. Maybe a specific taste of German gamers for simulations? Hard to say, but maybe it partly explains ETS2 success too. But it doesn't matter, really. Being in top 10, with FIFA or COD or WOW addon, that's simply an amazing success. You deserve it. i'm really happy about korean version! When is release date on origin?? Why don't you just buy it digitally from eurotrucksimulator2.com on the 19th? Cancel the Origin preorder and buy it directly digitally from eurotrucksimulator2.com midnight on 19.10. That's what I'm going to do. I hope skandinavia maps are coming soon!!!! For FSX there are third parties that make the maps altough. Maybe someone knows, when game will be in Sweden? Which are the trucks with real engine sound recorded? I saw on the blog some videos with Scania, Renault Premium+Magnum and Mercedes Actros sound recording sesion...there are anymore truck with real sound? what about the Arabic language. My guess would be that they match the price of 29,99€ as this is the most comon price found on the web.. I would like to know if anyone knows how much cost the game? I'm more upset at the old tracks and their old design. Russia game release 19 October! а у нас то 26 выйдет что ли ? will scs add the feature of the trucks getting dirty in the dlc? Very good. I wasnt expecting that so early. Not 17th midnight. 18th midnight. 1 day. I'm sure by "Thursday midnight" they mean night from Thursday to Friday. So something about 28 hours now. midnight of 18 oct it's tomorrow night... not in 4 hours! if you want.. technically in 4 hours it's 18 oct morning! No its out on the 19th. You are misreading what it says on the website. It will be out in twenty seven and a half hours. Its only the 17th of october yet. Wow , teasing! (atleast, i don't remember seeing the "check back ..." message yesterday). First time (in age) that i'm that excited for a game ! Less than 24 hours and i feel the sleepless night coming for me! BTW thanks SCS , i hope you'll have success with it because you deserve it!! The game is designed! This is a violation of the law! Yeah, I hardly started enjoying waiting and now it's over! Why buy the game also like to thank the developers? Release the game has enough pull to October 19. One day is not important. You always let their game 3-4 days before release. And here, you want it on October 19. The most interesting patch is released on October 17, October 19 and the game? Complete nonsense, then when there was a patch to be released, and the game itself, why do we not patch the game, themselves think? that patch is for copies from stone shops mainly. digital version from ETS2 site will be patched already of course. 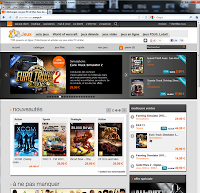 Scs Software Please add alternative ETS 2 Demo download link. there will not be a separate demo link. will be only one download link! that's becouse u can turn the game from demo into full game by entering serial number. I feel there's quite a big potential market in China if Chinese is on the language list. I'm personally an English-Chinese interpreter, and a big fan of this game, too. Are you open for part-time translations?